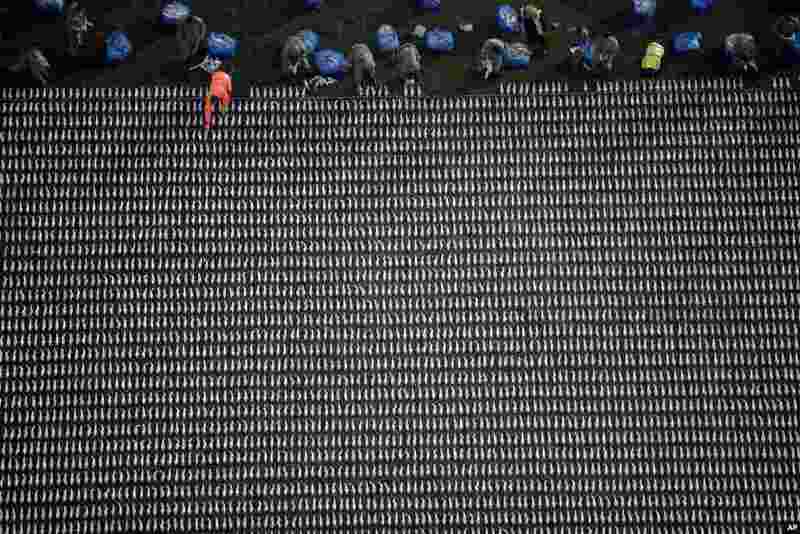 1 72,396 shrouded figures made by British artist Rob Heard, are laid out for his piece of commemorative art 'Shrouds of the Somme' to mark the upcoming centenary of the end of World War I, in the Queen Elizabeth Olympic Park, London. 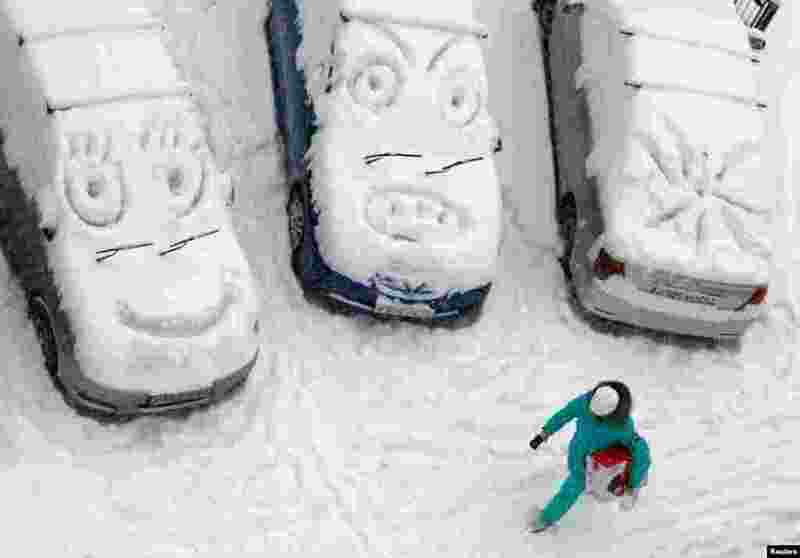 2 A woman walks past cars with faces which are scrawled on windows covered with snow during snowfall in Krasnoyarsk, Russia. 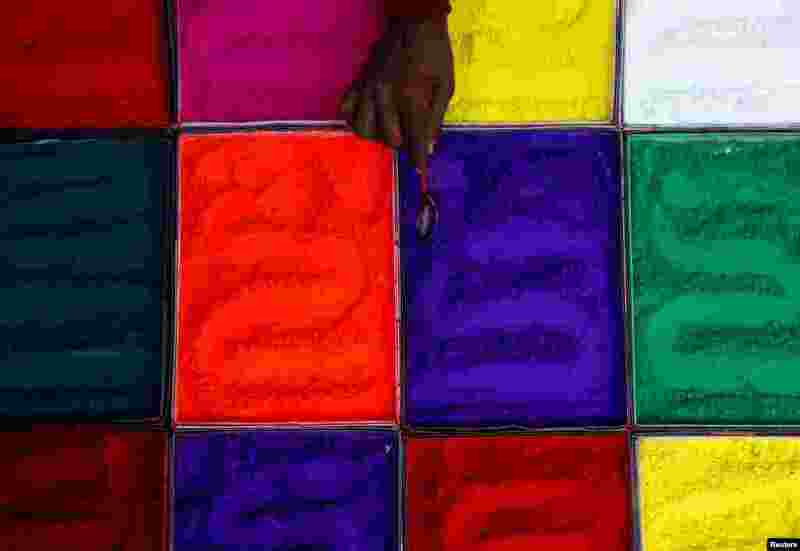 3 A street vendor spreads vermilion powder used for worship during the Tihar festival, also called Diwali, in Kathmandu, Nepal. 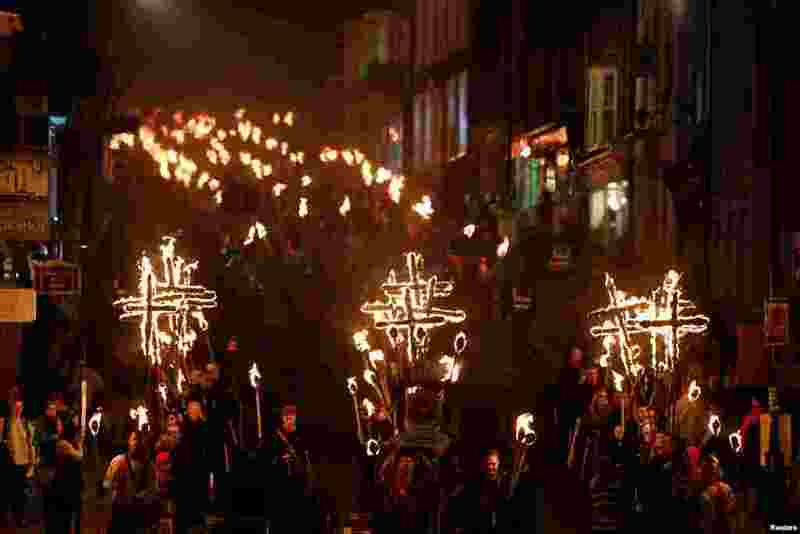 4 Participants parade through the town during the annual Bonfire Night festivities in Lewes, Britain.